My Burberry: Is It Worth To Buy? Released in markets worldwide only in September 2014, the Burberry My Burberry fragrance for women is the newest addition to the classic scents in the Burberry perfume line. The inspiration for this new scent remains to be the Briton London woman-contemporary, urbane, yet embodies classic elegance. The motivation for the My Burberry is inspired by the long established reputation of the Burberry trench coat: luxurious, rich, and timeless. Francis Kurkdjian is the perfumer responsible for My Burberry. This perfume creation, he says, draws from the delightful blend of the deeply sensual aroma of flowers, grass, wet ground and rain that follows a London rain shower. My Burberry combines freesia and roses, geranium and patchouli leaves, and quince as the most distinguishable scents. The result: a fruity floral scent that smells of a lavish, exceptional blend. Burberry My Burberry comes in a packaging that matches the refinement that earned Burberry a reputation in a class of its own. Each container is made of glass with a stopper that looks like a Burberry trench coat. Sealed with panache, Burberry My Burberry comes with a hand-wrapped gabardine ribbon, a material used in Burberry’s trench coats. My Burberry also makes it possible to print a monogram of your name or initials to personalize your Burberry My Burberry bottle! Available in 30 ml, 50 ml, and 90 ml bottle that sells anywhere between US$50 and US$90, could the Burberry My Burberry perfume be worth a try? Burberry was founded in 1856 by Thomas Burberry, then only 21 years old. The first Burberry store was set up in London in 1891. The Burberry trench coat catapulted the Burberry Brand to fame. Since then, the Burberry brand has been associated with paramount luxury and elegance. Burberry has defined its designs to be classical British. Over time, Burberry has positioned itself to be a brand that creates extravagant yet practical clothing and accessories that transcend time, generations, and even gender. In 2004, Burberry released to market its most successful fragrance blend to date, Burberry Brit for Women. Burberry Brit has received recognition for being one of the top and most favored perfume the world over. In April 2013, Burberry brought its beauty and fragrance business in-house when it discontinued its 20-year partnership with Inter perfumes. 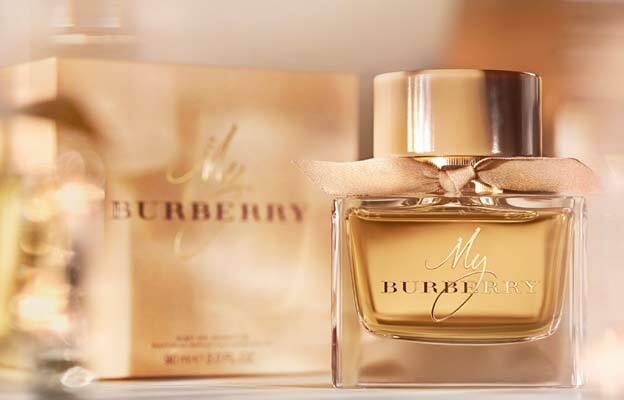 Currently, Burberry is aiming to become one of the Top 10 providers of luxury fragrance. Burberry My Burberry’s classic, long-wearing scent is made from a blend of sweet peas, bergamot, golden quince, freesia, geranium leaves, patchouli, Damascus rose, and Centifolia rose. Burberry My Burberry should only be used externally. Keep off heat and away from flame as it can be highly flammable. Why you should buy Burberry My Burberry? The profile of the Burberry My Burberry woman is classy, sophisticated, and refined. The scent fits experienced and self-confident women in their mid-20s. Long-time Burberry image models Kate Moss and Cara Delevigne fits this description. 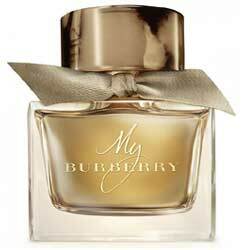 Burberry My Burberry is a versatile scent that can be conveniently worn on regular days and on special occasions. It can match your everyday style and mood. Whether you’re at work, on the subway or, in a high-class evening cocktail, Burberry My Burberry can take you from day to night and still be appropriate. However way you choose to use Burberry My Burberry, you will certainly achieve the same outcome, and leave an impression that’s experienced, no nonsense, top-of-the-line, and made for success. Any perfume has the potential to cause allergic reactions, most especially if infused with synthetic and chemical ingredients. Everyone has a personal preference when it comes to deciding which perfume to wear so, careful and informed decisions must be made when selecting perfumes, most especially because the best ones don’t come cheap. Whenever you find a test bottle, take the opportunity to test it for a few days before spending your hard-earned money. Remember, perfume scents vary from person-to-person as the essential oils react with your natural body oils so it will be helpful to observe how the scent matches your body chemistry and personality for an extended period of time before you actually purchase one.